I can't believe this is the last day of May! 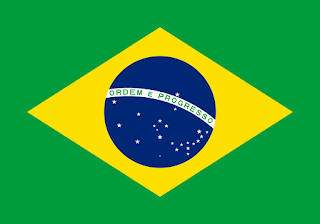 Time is going by so fast, we are officially half way through 2015...crazy! 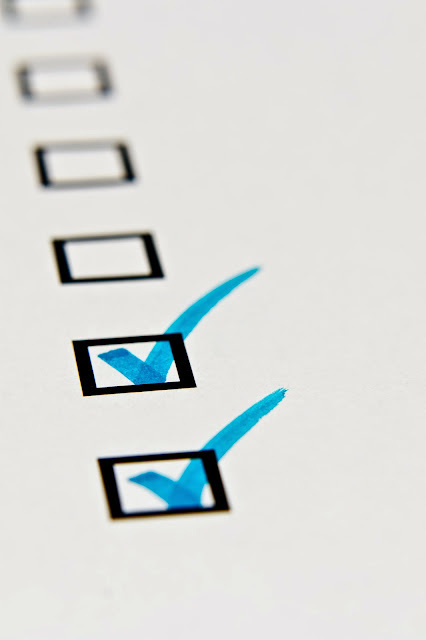 It's been a busy month for me and some of my About.com postings have been a bit sporadic. For whatever reason I didn't post at ALL the first week of May (bad idea), so I've been hustling to get all of my articles out. In fact I just posted my 8th and final article of the month about an hour ago. There's nothing like cutting it close...eek. But, I got it done and I'm pretty happy with this months articles. If you haven't gotten a chance check them out, the topics are all over the place, but of course centered around the best room in the house....the kitchen! 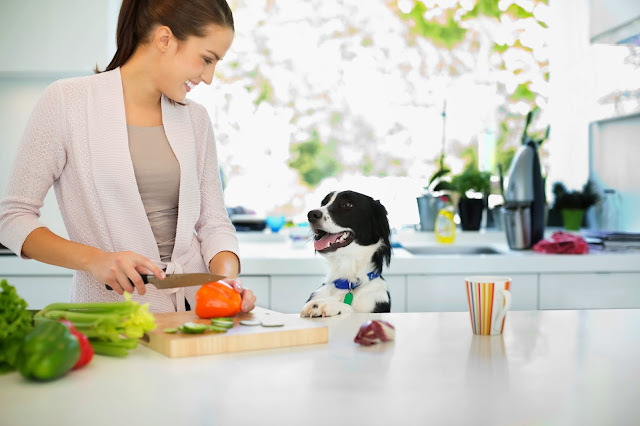 After writing about my experience designing cabinets for animals in this blog post, I decided to do some research so I could show off additional ways you can integrate pet storage into your kitchen. All options are not only functional but so fun! 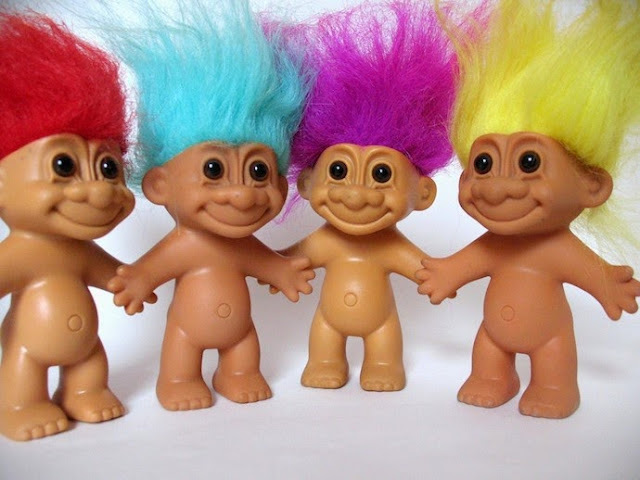 The opening picture to this article is a group of naked trolls with colorful hair. Do I really need to say more to encourage you to read?? OK fine....I'm talking color in the kitchen and my ideas don't involve being naked or dying your hair radical colors, so you should check them out! The subject of cabinetry can be downright confusing and overwhelming, but you've gotta start somewhere right? In this article I explained the different cabinetry construction styles. 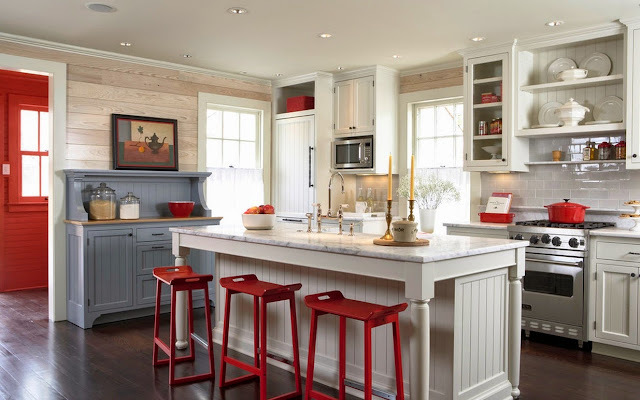 Sounds boring and blah, but it's actually one of the most important things you can understand before you set out to design your dream kitchen. When I design a kitchen there are 4 items that rarely don't make their way into my designs. This article talks about these items and why myself AND clients love them so much! Our touch faucet is truly one of our favorite features in our kitchen. 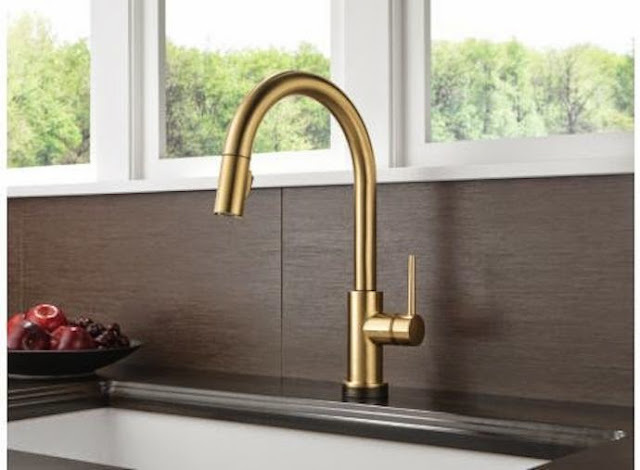 In this article I'm sharing the reason I truly believe the Touch Faucet is worth every penny and will instantly become a kitchen favorite for any one who has one installed in their space. For Memorial Day I posted a special article all about how to add a little patriotic flair to your kitchen! 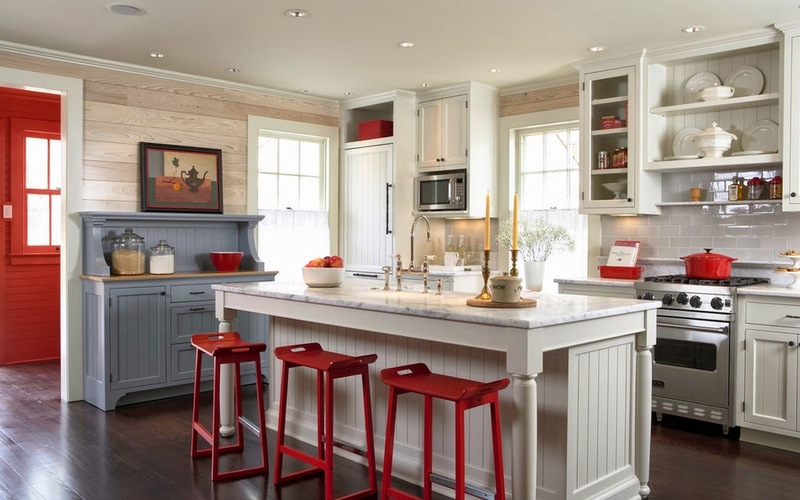 Lucky for us, American colors are classic and pretty and when done right a patriotic kitchen can be down right elegant! I know you all know this outdoor kitchen of mine pretty well. In this article I talked not only about my own outdoor kitchen, but showed off some other really cool outdoor kitchens as a way to pay homage to the kick off of summer! Corners in the kitchen can be a beast! 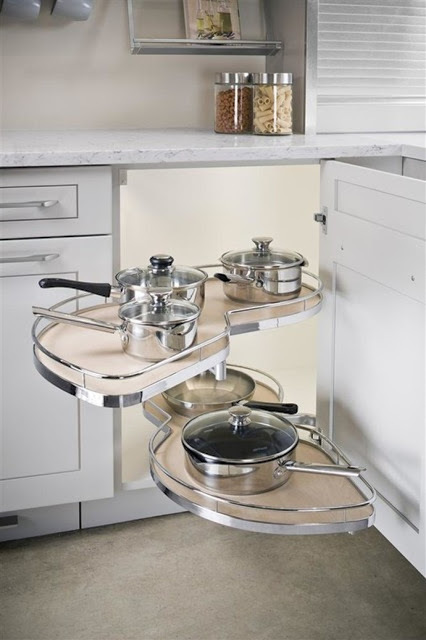 The LeMans corner pullout is an accessory I put in so many of my kitchen designs. This article talks all about the many benefits of the LeMans pullout. new trends you are seeing? Thanks for all the inspiration through your gorgeous kitchen and blog!